We load up our website with convenient links to other sites, but be mindful when clicking on them. We don't control alternate websites. 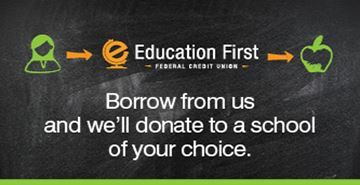 Any alternate website that you visit by a link from Education First Federal Credit Union's (EFFCU) website is solely the responsibility of that vendor. Third-party links accessed from this site are provided for the convenience of EFFCU members. EFFCU is not responsible for the content of the alternate website and does not represent either the third party or the member if the two enter into a transaction. Privacy and security policies on the third-party site may differ from those practiced by the EFFCU. Stuck in Credit Card Debt?